British Columbia is all about fabulous nature-scapes, the incredible mountain ranges along the pacific coasts and vast nature park reserves accounts for plenty of opportunities for photography enthusiasts. And believe me this western province in Canada has got everything to amaze you. How fare has your photography passion lead you so far? Any memorable pictures which you have captured that reminds you of the incredible moments in past? 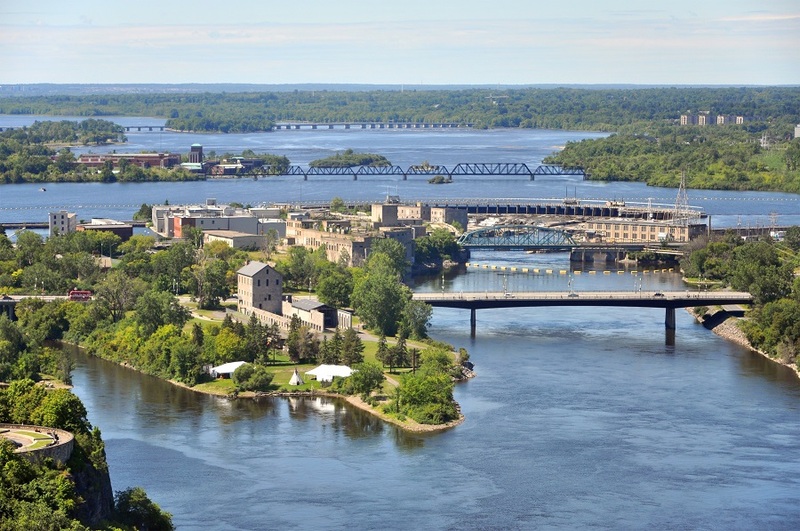 Canada is such a diverse country and is home to number of stunning natural landscapes. From vibrant and fascinating cities to picturesque natural environment, everything is surprisingly with so many attractive places. God must have been on vacations when he opt to create this wonderland. 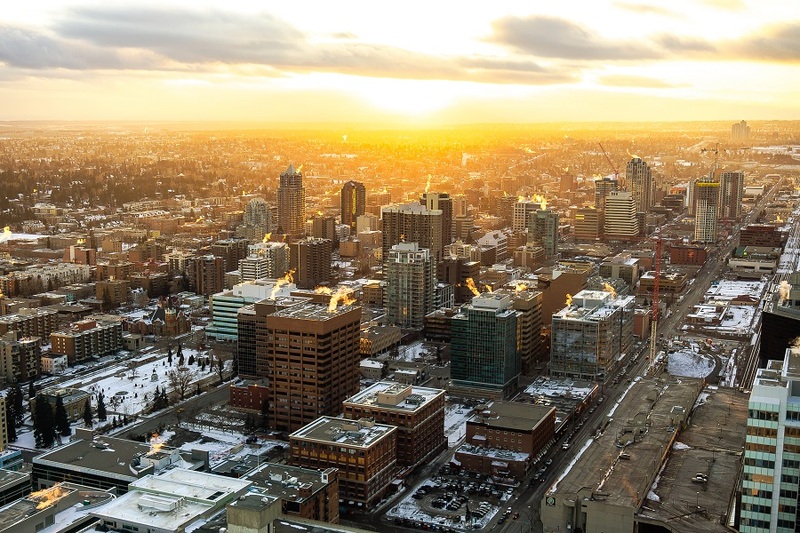 British Columbia is one of the most traveled province in Canada and has been luring photographers across the world to capture its astounding landscapes. There are many places in BC to satiate your capturing instincts and ample of opportunities to get a unique shot to brag about later on. 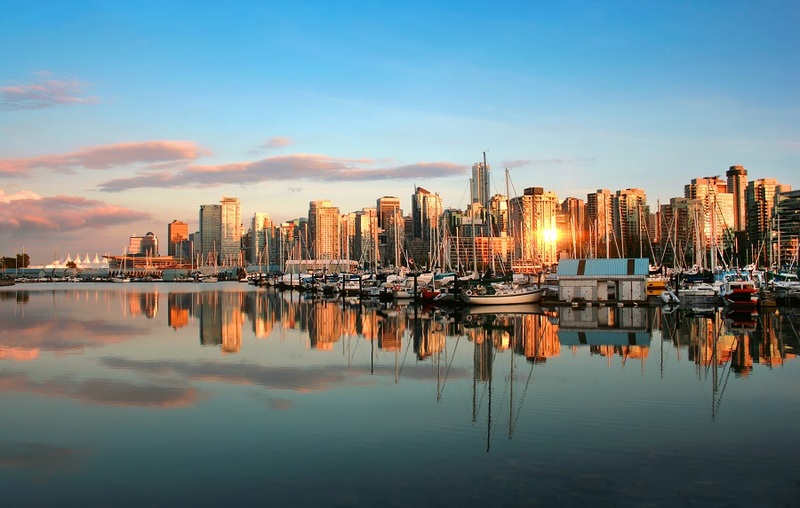 While travelling to British Columbia, you would be tempted to take pictures at every stop, however, we are glad to compose a list of some of the best places to get the best shots. 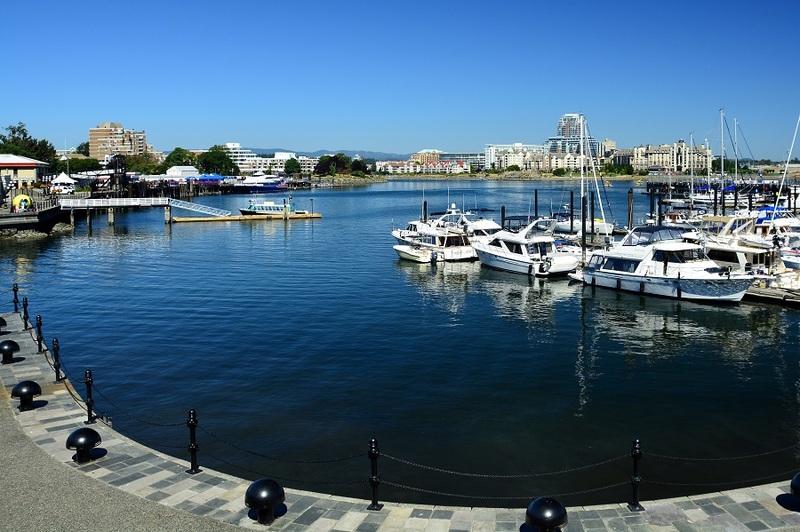 Though we deals in helping Canadians to Compare Air Tickets and find the best flight deals online, but it is fun to collate this data that might help you to prepare a to do list while you would in BC. Yoho National Park lies in between the Canada’s rocky mountains and brings alpine majesty within the reach of tourists and locals. Are you searching for a peaceful spot? 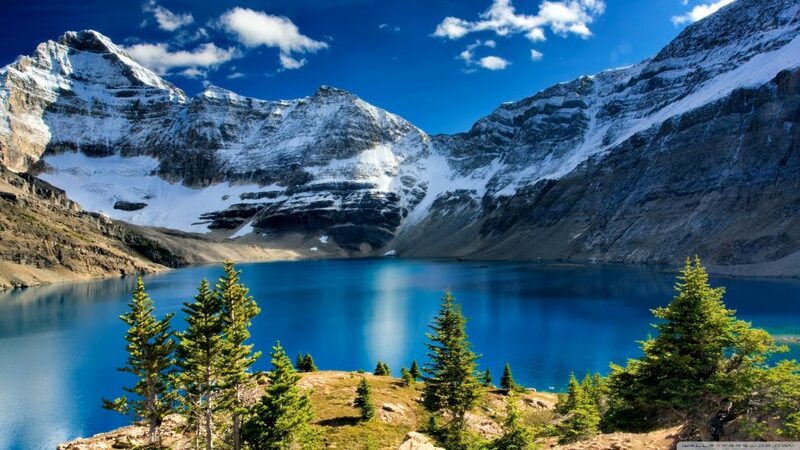 Then Yoho National Park is the best choice to visit because this place really creates magic in your mind. Loaded with serene lakes beneath the incredible mountain ranges, it has all to get you a shot for a lifetime. In spite of this, some places have earned their frame, you just need to simply capture the beauty of nature. At Lake Louise, Moraine Lake you guys can take selfie which gonna increase your fan following on social media. Lake O’hara and Lake emerald are no less by any means to ignore capturing. In Takakkaw Falls you gonna stop there and start capturing pictures from every angle. 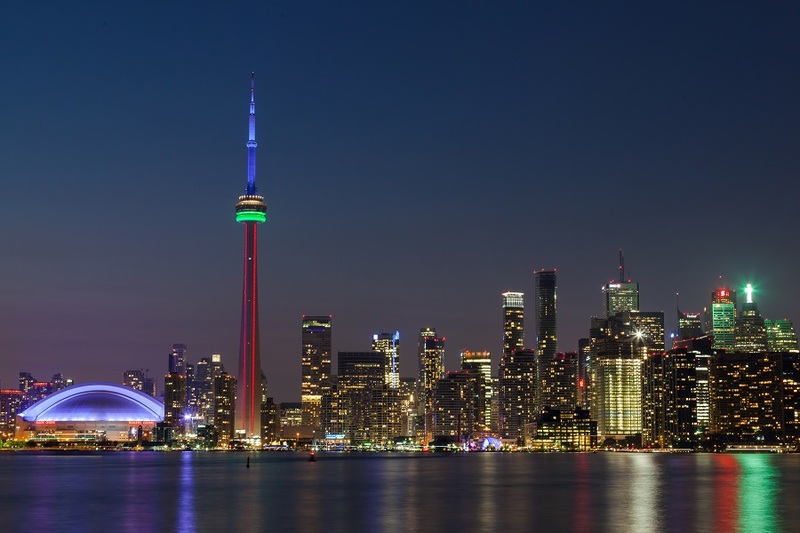 It is five times taller than Niagara and your eyes can witnessed the iconic Emerald Lake. This is the second largest waterfall in Canada. At this point, you cannot stop yourself to capture the picturesque view. This is the most beloved location for photographers to visit real gem and may be you can see moose which is not far from you. Beautiful lodges are also available which is affordable for every pocket. You will feel close to nature and can listen the melodious sound of nature. 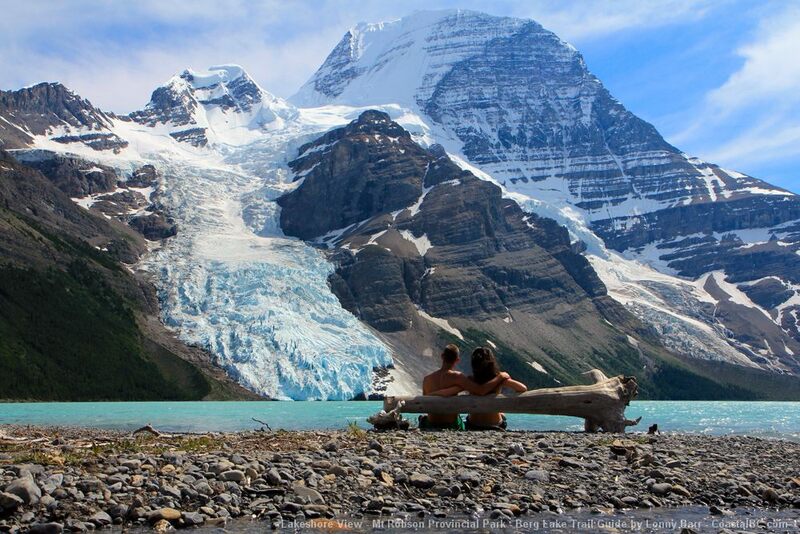 Mount Robson is situated in Eastern part of British Columbia which is the tallest peak in the Canadian Rockies. The Yellow head highway is the path towards this beautiful National park. There is common stop on this highway where the tourists can see eye catching frame along the highway which offers a panoramic view of Mount Robson. From this point of view individuals can capture pictures of this eye-conic beauty and add it to travel diaries. The most popular attraction is the Kinney Lake because of its crystal clear water. Take a look at this outstanding lake and in between don’t stop at one point to capture pictures. Just walk around the whole place and then you can discover numerous magnificent photo locations. At the back of Mount Robson visitor center, there is a big terrace to view the highest peak, which is the second oldest park in this province. Weather can be unpredictable sometimes and swirling weather patterns can create their own majestic surroundings which can encourage you to capture ultimate photographs. Do you guys want to enjoy breathtaking garden view? 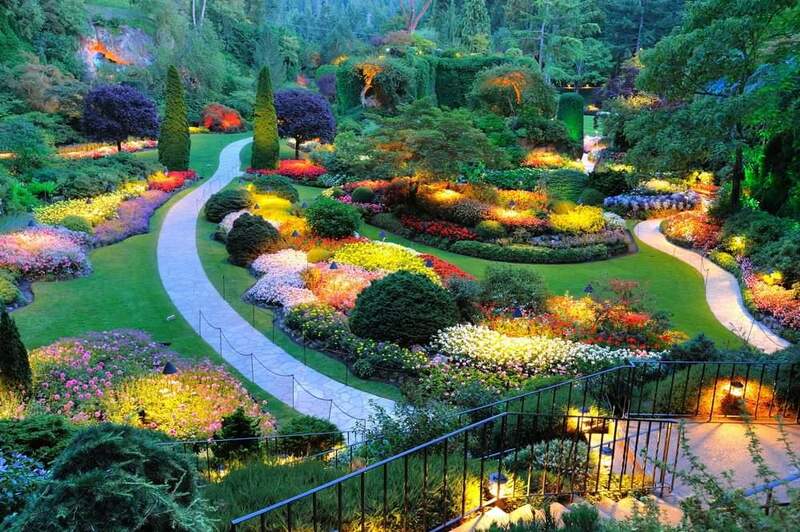 Butchart garden is one of them in BC and it is not less than heaven on earth. There is no dull season at Butchart gardens, in every season individuals find countless flowers and can take pictures of beautiful flora . When the gardens light are lit up at dusk, it will blow your mind and can’t resist your hand from camera to capture the magnificent view. Now everyone has question that how many hours need to explore this Garden? Butchart garden is so beautiful that no-one cannot move ahead in hurry and complete the garden trip in only 1-2 hours. This place has many surprises amazing spot for photos that you can snap stunning pictures with love. Butchart Garden has been an inspiration place for photographers to capture iconic beauty and Of course, you should embrace the beauty of nature and listen your inner peace voice. So, don’t afraid to explore and be the witness of breathtaking view and click adorable photos that help you to remember your trip. As well as,the fragrance of beautiful flowers will stay forever in your life. Tynehead overpass bridge constructed above Trans-Canada highway in Surrey city. This elevated walkway links Tynehead Regional park and 168th street of Guildford neighborhood. This overpass will offer non-motorized routes to travel around Surrey. On this bridge you can capture multi-colored lightning which illuminates the beauty of Tynehead overpass. Families, residents and visitors can walk, hike, bike or jog safely to relax their mind. After crossing this bridge there are many nearby parks including Bothwell Elementary school park, Glenwood park and Abbey Glen park which looks so beautiful and can find nice locations to take your selfie. Tynehead regional park is covered in 260 hectares which has colorful pedestrian bridges, many waterways that makes really interesting and can capture unique photographers for your followers. Apart from that, it is habitat for owls, hawks and many more where you can witness the natural landscapes which provides an opportunity to show your photography skills. Don’t forget to charge your camera battery because at every place you would like to click pictures at every turn. Lions gate bridge is a suspension bridge that connects the city of Vancouver to the north and west part of the city. 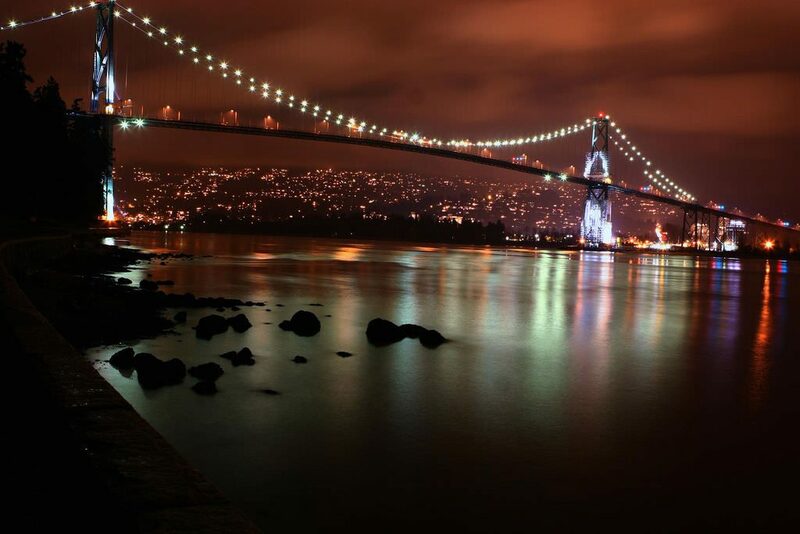 Lions Gate bridge is a classic place to capture ultimate pictures. This bridge offers amazing night photography opportunities and is a great spot to watch sunset or sunrise. At Stanley Park point you can begin your photography adventure and capture photo from the walkway on the Lions gate and look towards the seawall and it is the perfect sunset spot to capture pictures. Once it gets dark, take some pictures from the bottom of the bridge to take some shots of bridge lights. Another recommendation is capture images of Vancouver from the east side of bridge and great view of the west side of Stanley park. Don’t forget to look at trees surrounding the bridge in capturing frame which provides fantastic photos. The architecture of this bridge is so different and nice that gives symmetry to your photography. Overall, this bridge looks beautiful when lit up at night and at the end you will not feel surprised if memory card filled with unique perspective pictures. Mount Tzouhalem was originally named “Shkewetsen” be first locals. The hike to cross Mt Tzouhalem provides an incredible view to the whole town of Duncan. The up hills hike through the forest offers the enjoyable moment and being rewarded with one of the best view. The white cross stands about 400 meters up the steeps of Mount Tzouhalem which tourists stop to capture magnificent view of the Cowichan valley. The photographers lovers can take this angle to capture the glimpse of Mt Tzouhalem. If you are worried about your pet dogs and thinking where you can leave them, then there is no issue on Mount Tzouhalem because dogs are permitted there but need to keep them in control because trails are shared by hikers and mountain bikers. Basically, it is a large land and numerous paths to lookout various scenic beauty and some of the paths are wider and forest looks so stunning. At that moment, you will feel like to click pictures which will blaze your mind. On that path, you can also find mushrooms of very shape, size and color which you have not seen before. I haven’t posted pictures for everyplace though as I want you to capture some and share with us to flaunt your photography skills. There is still a lot to cover though, but I believe its better get to know them physically and any real time experiences while you would be on your pursuit to get the perfect picture among these destinations – we will be delighted to hear from you. I think you guys get an idea about British Columbia which is a perfect combination of wonderful nature with perfect pictures in one frame. The panorama view of your beloved location with craggy peaks, pristine lakes, iconic landscapes, exploding multicolored sky will relax your mind from busy schedule. The Canadian Rockies have no shortage of beautiful drives, so you guys can consider an epic road trip to beautiful places to capture best photos of your life. And yes for International visitors- first plan your dates and book return flight tickets. 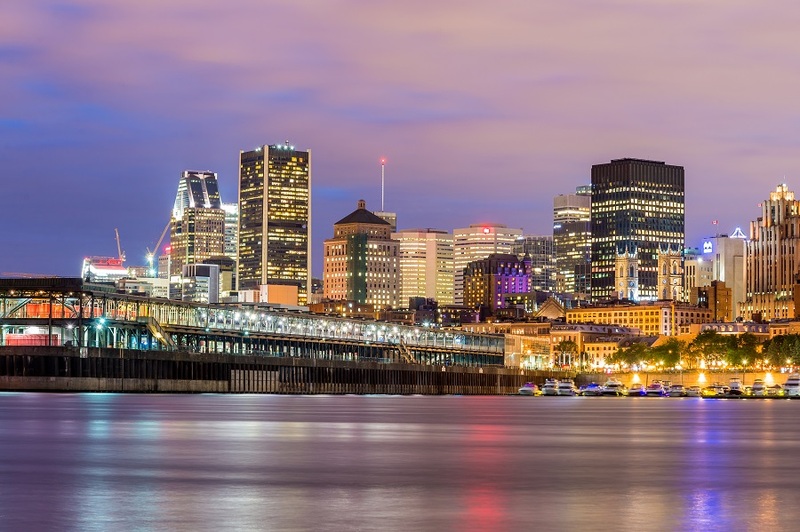 Farenexus is meta search engine from Montreal that helps to compare airtickets and find the Best Flight Offers for online booking. Last thing if you guys have any memorable experience which you wanna share with us? We would love to hear your experience, so please share your unforgettable journey or thoughts below in the comments!! 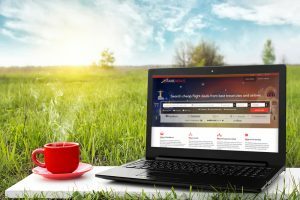 Next story Things to Consider while Booking Cheap Air Tickets!